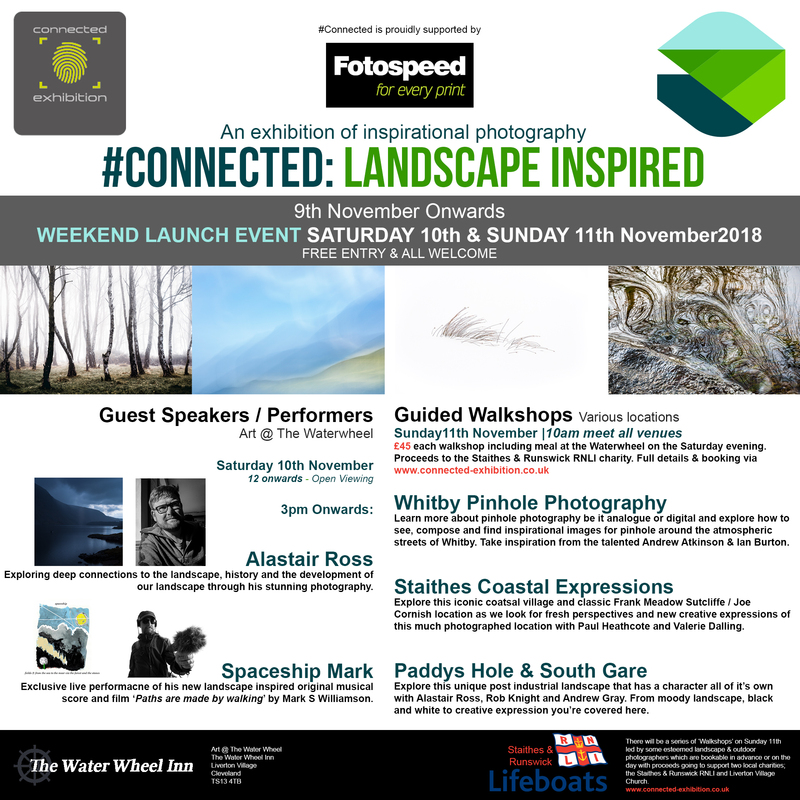 I’m speaking at “#Connected : Landscape Inspired”, up at The Water Wheel Inn in Liverton Village in Cleveland, on the 10th of November. My talk is called “If this is your land, where are your stories?”, taking inspiration from the book of the same title by J. Edward Chamberlin. I will tell some stories about the land, the people and their histories drawing on my photography of the Peak District, the Lake District and the Outer Hebrides, as well as from my recent trip around Europe in my campervan. The event is free, but if you fancy a spot of dinner and a choice of photography walks with a number of my photography friends on the Sunday with all proceeds going to the RNLI Staithes, then you can for £45. This function has been disabled for Alastair Ross Photography.